You’re about to meet Nachi, a courageous, selfless and cheeky grandma who loves her grandson Collins fiercely. Together, they’ve endured unimaginable grief and hardship. But as you’re about to see, their story changed. Over a period of two years, a team of researchers led by Dr. Bruce Wydick studied adults who were registered with the Compassion Child Sponsorship program from 1980-1992. What did the team discover? People are passionate about food. Celebrity chefs and the popularity of the Food Network and competition / reality cooking shows like Chopped, Iron Chef, Hell’s Kitchen and Masterchef demonstrate this. But for the 1.4 billion people in our world living on less than $1.25 a day, food and cooking isn’t entertainment. It’s survival. But for the 1.4 billion people in our world living on less than $1.25 a day, simply feeding themselves is a daily challenge. You can also view this video, Step Into My Life: Selamawit’s Story, on Vimeo. Last month, Wess visited Australia and we grabbed him for a chat about why he is sold on child sponsorship as a way to help children, and what the Bible tells us about poverty. You can also view this video, What Does the Bible Say About Poverty? on Vimeo. 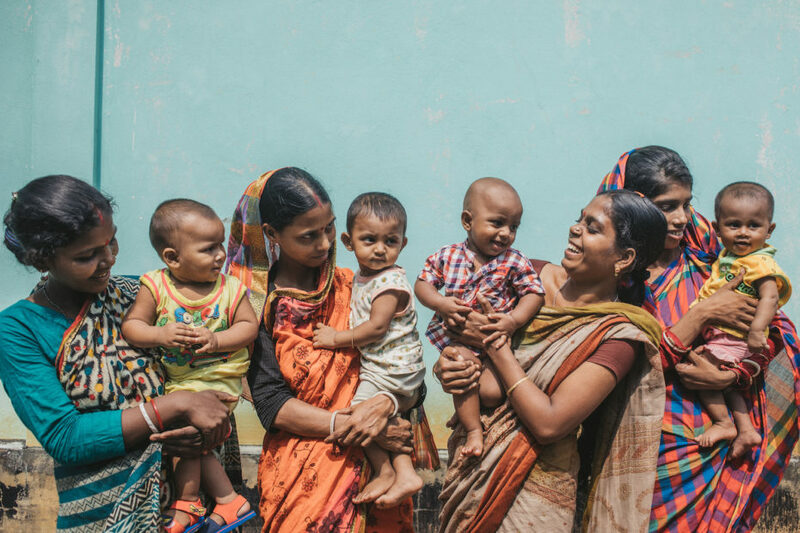 Can Anything Good Come Out of a Slum? My biggest fear in life is not reaching my God-given potential. And for the first 20 years of my life, I found myself being increasingly shaped by worldly values. That is, until I came face to face with Jesus! Since then my Creator and Saviour has been helping me to weed out values that are contrary to those of the Kingdom and walking with me towards the dreams He’s planted in my heart. It’s been a step-by-step process of learning to be faithful with what He entrusts me with. Of course, going against the patterns of this world isn’t easy, but the fruit of obedience is liberating! I wouldn’t want to live any other way. Life’s exhilarating when you’re dancing with a God of the supernatural. Thanks to modern technology, I met a Compassion alumnus Paul Omondi through Facebook! Paul shared his testimony with me … It’s more than encouraged me to be all that I can be; it’s given me hope. Paul completed the Leadership Development Program in Kenya years ago (a program that educates, trains and disciples servant leaders), was recently married (congratulations Paul! ), and now works to help his fellow Kenyans escape the cycle of poverty in his role as a Community Development Manager. But every achievement starts with a heart that dares to dream. Twenty nine years ago in Kibera, 15 minutes outside of Nairobi, Kenya, a baby boy was born. 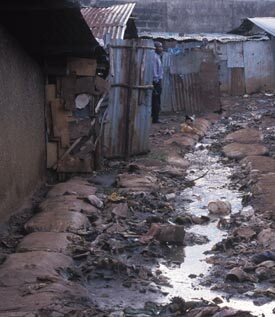 Kibera is the biggest slum in Kenya. I can’t imagine what would’ve become of me if I was born there. Tune in all next week as Paul tells his story. Children and Poverty: Do They Mix? As a kid, did you ever daydream about venturing into the slums of Kolkata? I know a gutsy 14-year-old who did … who ventured into extreme poverty. But that’s for later. I, Irene, grew up in a sheltered, middle-class family. Whilst I didn’t make it to India at the age of 14, I ventured to Kyrgyzstan at the age of 24 with a team of medical professionals and helpers. It was a completely humbling and mind-blowing experience. I met church pastors who have been blessed with so much more materially than I, yet they have chosen to live in abandonment for the expansion of God’s kingdom. I met Muslims in remote villages who suffered advanced stages of cancer, but had no means to receive medical treatment. All that my team could give them were vitamin supplements. I met orphans who were stunted from malnutrition and sometimes from past substance abuse, but have found the love of their heavenly Father. I can’t quite imagine how I would’ve coped on the same journey at the tender age of 14. If you read the Reflections of a Compassion Traveller series, you may have gained some guts –- I mean, a new level of desire to meet our friends living in poverty. It definitely takes guts to travel to less developed nations. It’s inevitably a confronting experience. 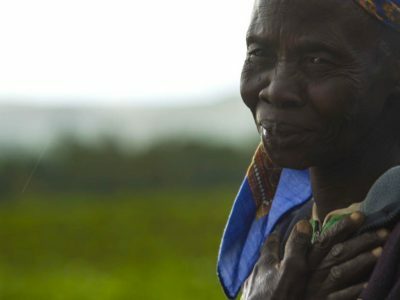 As the Rwandan genocide unfolded 15 years ago, Dr. Laurent Mbanda followed the fighting lines of the Rwandan Patriotic Front (RPF) to help administer aid to those who needed it most. 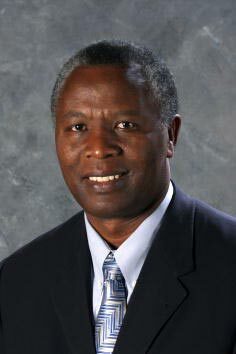 Mbanda is now Compassion’s Regional Vice President of the African region. 1. Where were you when the genocide started? I was not in Rwanda. I arrived in May 1994 with Compassion to administer relief behind the RPF fighting lines. I was in Nairobi, Kenya, but before that I lived in the USA for 21 years. My parents left Rwanda, running for their lives, when I was 4. 2. How was Rwanda on the ground when you arrived? Horrific! The country was on fire, it was in disarray, people were dying like flies; displaced people everywhere, bodies rotting everywhere. The military the RPF was trying to stop was visible. I could hear gunshots from where I was. 3. What were your impressions? How could a human being do what the Hutu militia did to another human being? How could a government, a leadership of a country, turn against its people and butcher them? I was angry. It was my people that were being butchered. I was scared for my life even as we went around administering relief where we could. Initially, I was angry at some NGOs (nongovernment organizations). Many were coming in taking pictures and returning back to raise money. How could they have gone in empty-handed? Since the FAST for FOOD campaign began, some of my colleagues who have been on a coffee fast mentioned coffee every day. But the important thing is this — they honored their commitment! Nevertheless, they eagerly counted down the days . . . I too was keen for the FAST to be over! Skipping a meal a day hurt. The FAST has come to an end, but despite having to experience the pain of self-imposed deprivation, God’s given me a spiritual FEAST! So far I’ve experienced moments of intense hunger and vulnerability, yet contrasted by immense joy and freedom. I cannot tell you enough about the good things He’s done in me and revealed to me over the past month! The hunger pangs have given me a glimpse of what our precious friends living in destitution experience day in, day out. They’ve also reminded me of how lucky I am to be hungry by choice and not due to personal circumstances. I–AM–BLESSED! “What I’m trying to do here is get you to relax, not be so preoccupied with getting so you can respond to God’s giving. People who don’t know God and the way he works fuss over these things, but you know both God and how he works. Steep yourself in God-reality, God-initiative, God-provisions. You’ll find all your everyday human concerns will be met. Don’t be afraid of missing out. You’re my dearest friends! The Father wants to give you the very kingdom itself. While I’ve yet to fully discover what my heavenly inheritance entails, I know that it comes from a good and kind God who is love Himself . . . a God who does not change and cannot deny Himself (of His goodness, kindness, grace etc.). I’m convinced that rather than struggle with the recurring tension within me to give sacrificially, by focusing on how unchangingly good He is, and His continuous goodness towards me, I would learn to give as He does. Surely, it is by focusing on the ways of the Kingdom that we’d learn to live on earth as it is in Heaven . . . . 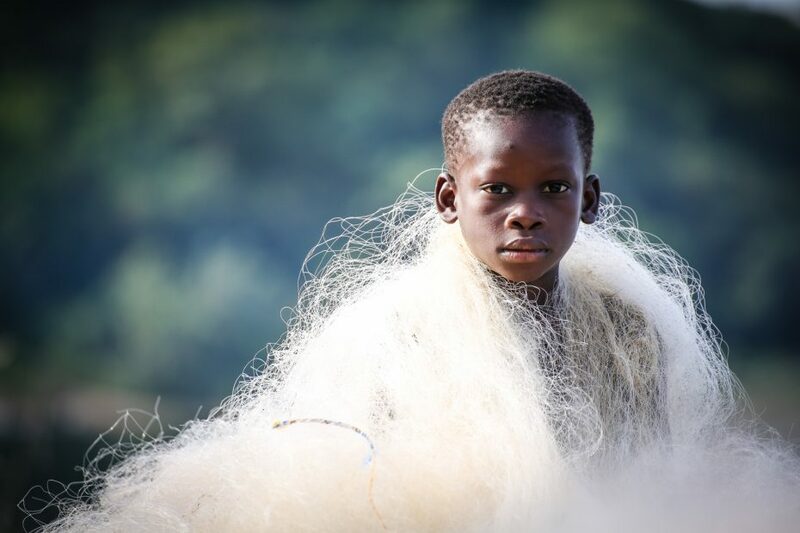 I wonder whether the offering of an average Joe (be it the equivalent of a basket of fish and bread) would be given in faith by everyone across the earth, so that I would live to see a miracle — the end of starvation? If the idea of FAST for FOOD has captured your attention, you can participate in the campaign (with your friends and family) at a time of your choosing. have been created without a specific beginning or end date. Besides, the Global Food Crisis continues . . . .
A few of my colleagues here at Compassion Australia decided to give up coffee this month. Why? We are all participating in a month-long campaign called FAST for FOOD. Firstly, it’s something they could live without . . . albeit sacrificially. For the first week of the fast, they had massive headaches and their bodies screamed for coffee 24-7. I felt their pain. Secondly, a cup of coffee costs more than what some of the materially poor earn in an entire day. So the money we save as a part of the fast is then donated towards the Global Food Crisis fund. We’re almost three weeks into the campaign and my colleagues have honored their commitment — not a single drop of coffee. They’ve also resigned themselves to the fact that it is still a luxury they would like to enjoy after FAST for FOOD. The Message phrases “hunger and thirst for righteousness” as to “[work] up a good appetite for God.” Clearly, our appetite for God doesn’t develop in the same way that our body naturally hungers and thirsts for food and drink. We need to make the decision to work it up. The Amplified Bible defines righteousness as “uprightness and right standing with God.” Therefore, righteousness is a position where we know we are right with God. He promises to bless us if we seek to be right with Him in whatever circumstance we’re in. Not only this, if we choose to focus on who He is rather than our circumstances, we would be “filled” (NIV). In other words we would be “blessed and fortunate and happy and spiritually prosperous” (AMP<). No matter what circumstances we find ourselves in, the principle to becoming "filled" remains the same. Like Apostle Paul, we could be content whether we live in plenty or in want (Philippians 4:12). But it is by choosing to seek a person rather than a thing that we learn contentment. Surely, when we’re filled with Him we’d be in a better place to give and bless those suffering in the Global Food Crisis, just as He fills us. Ah, the joy of simple faith.